It's that time of year when we start spending more and more time on our front porch, and it's that time of year when I realize it's in dire need of some special attention. Through the winter months when I'm out there less, I tend to do the ol' out of sight, out of mind bit and let things pile up and spider webs accumulate, but with the warmer weather, I've been out there, and I can't unsee the sad mess it's become. It's a shame, too, because the front porch is the first thing anyone sees when they stop by or visit, and by the looks of ours, no one is feeling a warm welcome. In fact, we are leaning more toward being the Burbs of the neighborhood (90's movie reference for you babies out there). See all those pretty plants in the photo above? All dead now. See how there isn't an old rug rolled up and pushed to the side and a bunch of boots strewn everywhere and toys and junk lying all around? Well in reality that is exactly what this area looks like currently, extremely neglected. Our porch really is some of the most loved square-footage of our home. When the air gets warmer and the days get longer, we just sort of naturally navigate out there and are immediately transported to a time when things were slower and simpler. 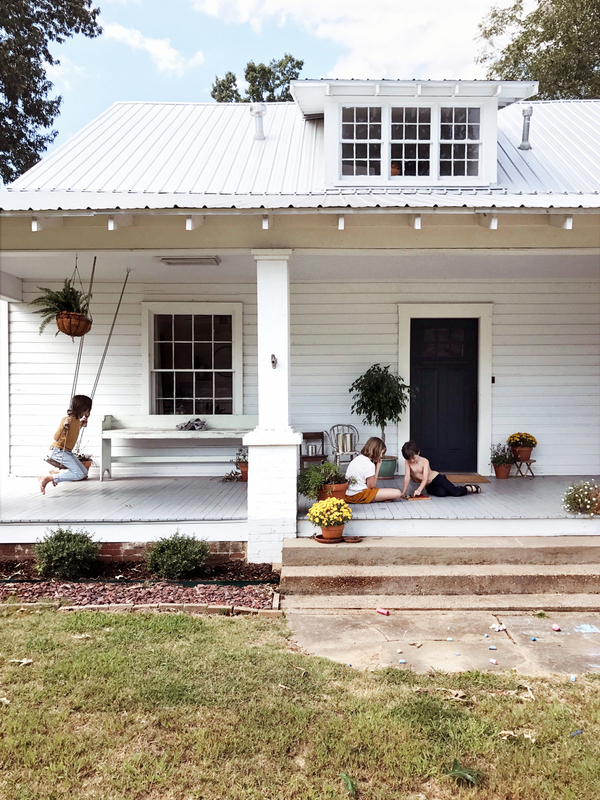 But when the porch is messy and unaccommodating for sitting and relaxing, it's kind-of a joy-kill, not peaceful at all but rather another area of clutter and anxiety. 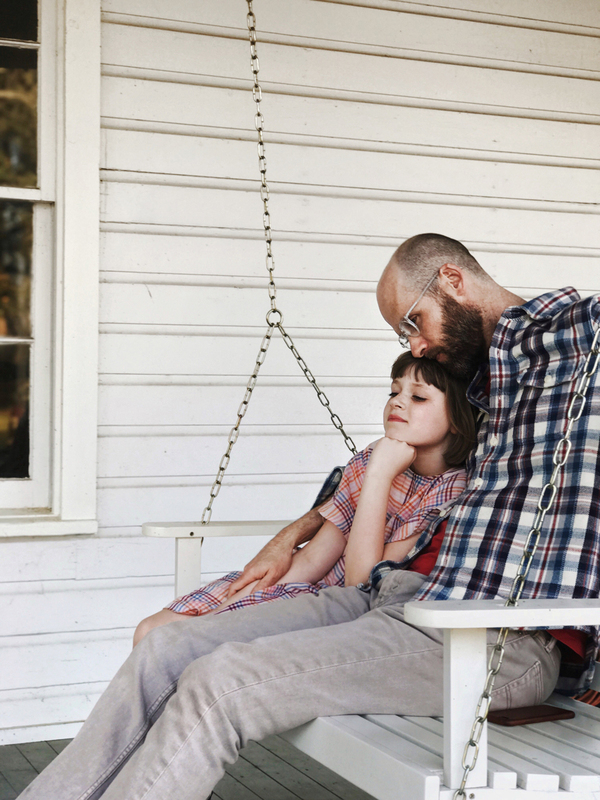 I want our little porch to be inviting so it continues to draw us out there together. So if you have a porch that's sad and neglected, or maybe it's a backyard (do NOT even get me started on our back yard), today is the day to get a leg up on it, because today is WAY DAY! For 24 hours Wayfair is offering some seriously reduced prices, in fact, their lowest of the whole year, and free shipping to boot! 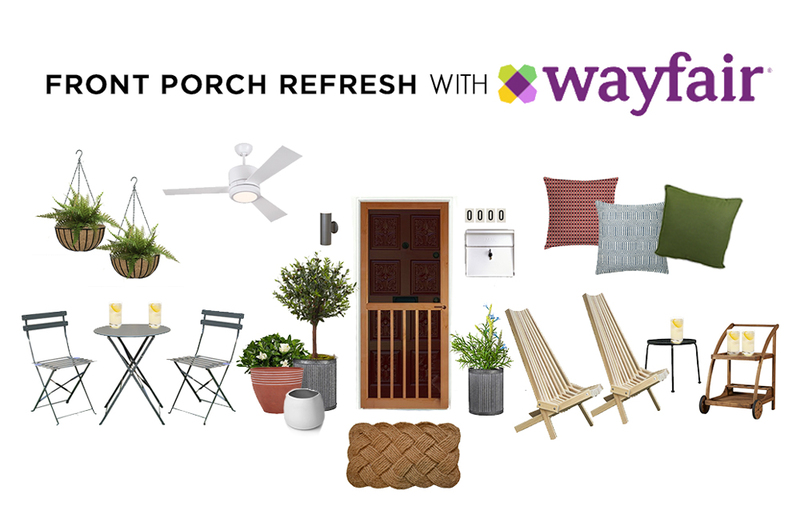 Below are a few updates I'd love to make to our outdoor space with some of my favorite outdoor pieces from Wayfair. Because we live in a nearly 100 year old farmhouse, I like to keep things feeling authentic to the era in which the home was built but also add a few modern touches, like mixing an old looking screen door with a modern light, or some rustic planters alongside the mid-century folding adirondack chairs, which, by the way are so great because, well, they fold, so you can have a couple extra tucked away to pull out when you have extra guests who need extra seating. I don't want it to look too fussy, but at the same time I'd like for it to appear loved and cared for. It should be an extension of the inside of our home, another place we can feel cozy and at ease. I've linked everything in the carousel below, so join me in de-wintering your outdoor spaces and still have some money left for the inside! Happy Way Day! *This post was sponsored by Wayfair. All thoughts and opinions are my own.